SEVENTEEN (previously known as Boots 17) are possibly one of the most underrated high-street makeup brands offering competitive, high quality, yet affordable makeup products starting from as little as £1.00. I've been a fan of SEVENTEEN for a long time and one of my all time favourite mascaras is SEVENTEEN's Doll'd Up Mascara - it's seriously good stuff! And the SEVENTEEN Define and Conquer Contour Kit (medium) hasn't disappointed. The contour kit is encased in a simplistic black compact, which is similar to NARS packaging, but without the rubberised finish. The compact is sturdy and comes with a decent sized mirror and guide demonstrating how to use the powders, to help you conquer your contouring fears! The kit offers two equal sized matte powders; one to define and one to illuminate. The illuminator isn't your typical illuminator/highlight as it does not contain any glitter or shimmer and I personally feel it works best as a setting powder opposed to a highlight (rather like banana powder). 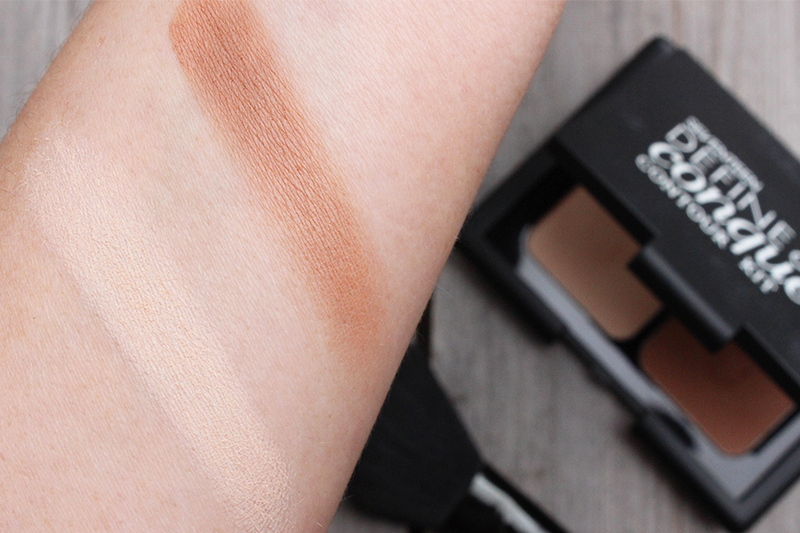 The contour shade is a medium brown with warm undertones and when applied it doesn't appear orange or muddy on the skin. Although it's not overly pigmented, it's ideal for beginners, as you won't end up with dark patches or hard lines. Both shades are buttery smooth, buildable, last around 4-5 hours, blend incredibly well, available in two shades and priced at £5.99 it's a bargain! Listen up fellow beauty bloggers! SEVENTEEN have recently launched their Blogger Network where you can share your blog posts, access exclusive content and connect with likeminded bloggers. If you want to get on board, all you have to do is sign up here.